Deborah Jean Osburn, June 12, 2014, age 57 of Madison. 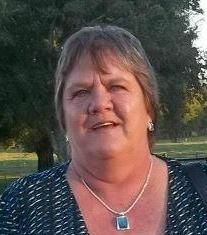 She is survived by her husband, Richard Osburn; children, Michelle Sutton, Lisa Osburn (Dustin Romines), and Corbin Osburn; grandchildren, Conner James Sutton and Morgan Lanae Sutton; mother, Rilla Casto; sister, Sandy Casto. Visitation will be at Cole & Garrett Funeral Home, Goodlettsville Sunday from 1 pm until service time at 3pm. Prayers for the family. I’ll miss her. So sad to hear of Deb’s death and your loss. I remember Deb as loving her children with all her heart and always being a faithful and devoted wife. I know you will all miss her greatly. May God bless you all and hold you in his loving arms as you grieve your loss. May your wonderful memories help to bring you all peace. God bless each and every one of you. I was just devastated when I heard the news. It was unbelievable to me. I’ve known “Deb” since I’ve been in Tennessee. She was a whole lot more than just an employee of Kroger to me, our relationship was more like a friendship. I looked forward to seeing her behind the customer service desk, especially in the mornings. I enjoyed talking to her, which was quite often, since I seem to go to Kroger almost daily. I will miss her and my heart and prayers go out to her family. To Deb’s family, you have my deepest condolences.